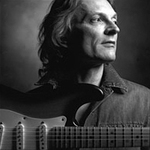 Slide-guitar master Sonny Landreth's new album From the Reach will be released May 20th. Special guests include guitarists Robben Ford, Eric Clapton, Eric Johnson, Mark Knopfler, and Vince Gill. Dr. John and Jimmy Buffet also make appearances.